Planners and architects are currently exploring the benefits of rooftop development as one possible route through which to ease the London housing crisis. A recent government consultation into the benefits of ‘building up’ rather than ‘building out’ found that most parties were in favour of the concept in principle (see p.35 “Upwards extensions in London”) as an efficient way to increase the housing stock in a city where space is at a premium. Alongside the benefits offered to built-up cities in terms of increased housing stock, rooftop construction also offers advantages to leaseholders of properties suitable for this kind of development. These can include an uplift in the value of existing properties enhancements to communal spaces, up-to-date safety features and an overall improvement in the condition of the building, offering current residents a higher quality of living environment. Airspace development then, is an effective and innovative way to take advantage of our unused skylines. It has already been embraced in cities such as London and Paris, where affordable housing is sparse, while leading architects propose ‘terrace upcycling’ as a viable and cost-effective solution to the housing crisis, one that also offers numerous benefits to leaseholders and residents. The housing shortage in London is fast becoming a serious crisis. A combination of an increasing population, a stagnating pace of construction and diminishing space to build has created a situation in which there is a deficit of approximately 49,000 new dwellings each year. Though airspace development cannot wholly satisfy this huge demand, it can — in combination with other solutions — cater for approximately 40% of the housing target that must be reached by 2025. Research undertaken by Apex Airspace, which used the borough of Camden as a case study, estimates that building on structurally suitable properties would be able to provide at least 2,485 new homes. This represents 28% of the housing target that is required by 2025 in the borough. Across the whole of London this could result in as many as 179,126 new homes. This is a significant opportunity for a city that needs remedial action as soon as possible. But it’s not just the necessity for new homes that makes rooftop development appealing. Building up maximises the use of current ground space. It also prevents having to build into green outdoor spaces, which often play a vital role in community cohesion and add value to areas of a city. Is it safe to build up? Though building on current dwellings offers a plethora of advantages, some may question the safety aspects of building on structures that are often already classed as ‘high-rise’. Rest assured that development on an existing property would simply not be undertaken if it weren’t safe. Not all buildings are suitable. Comprehensive feasibility studies are carried out before a project begins to assess the structural integrity of the building and establish whether it can carry additional load. For example, a low- to mid-rise block with a flat roof is a likely candidate for further modules, while a house with a shallow pitched roof with eaves may not be suitable. The feasibility study also involves safety checks; structural integrity alone is not sufficient. Buildings have to be assessed for access, fire safety and the effects of additional construction on the property’s compliance with building regulations. Developers, planners and local authorities will consult over these factors before any work takes place. The leaseholders of properties in the buildings marked for development can expect financial gains through a number of channels. 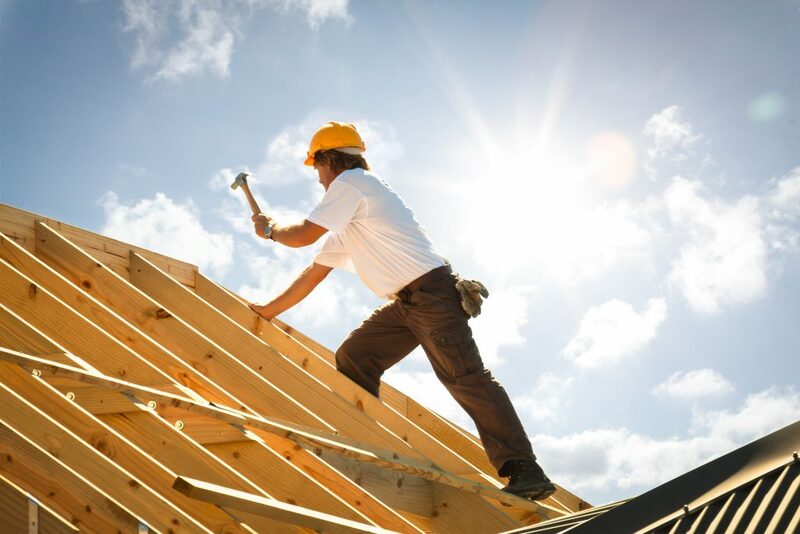 Rooftop construction involves more than simply adding dwellings to the top of a building. In most instances, renovation will take place throughout the building. The roof will be replaced entirely and carry a 20-year guarantee, meaning the cost of roof repairs are covered for at least two decades. Other renovations may include improvements the facade of the building and renovation of internal communal spaces such as corridors or reception places. The ongoing cost of major works is therefore significantly reduced. The renovation of the building will also increase the overall value of the existing properties leading to an average a 3-4% increase in capital values. Due to refurbishments, which are intended to reduce overall maintenance burden, the communal service charge will also be reduced. The renovation of communal spaces offers an improved living environment, but this isn’t the only advantage on offer. Current residents also benefit financially from the development – improvements are often made to the overall energy efficiency of the building, decreasing ongoing energy costs for residents. Since renovation will take place throughout the building, residents will not be affected by ongoing minor or major works in the years following the initial development. Instead, all the renovation work takes place concurrently and to a strict deadline. And South Coast Estates will do everything in their power to minimise the disturbance caused by building works. Offsite construction techniques will be employed to reduce the amount of building work taking place on site. Start to completion times can be reduced by up to 50% using offsite approaches. 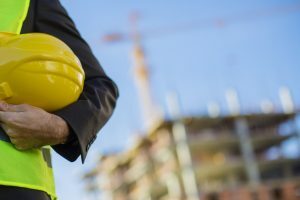 Building off site also improves the overall safety of the project, mitigating the risks associated with such construction projects. In these times of pressing housing shortages and an increased desire to preserve green belt land at all cost, planners and architects are naturally turning to airspace development as the perfect solution. Environmentally beneficial, architecturally appropriate, with minimal disruption to the community and measurable benefits for both existing residents and property leaseholders, rooftop construction projects should be a welcome sight on any cityscape.